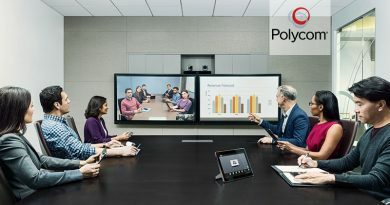 Polycom RealPresence Group 700 video conferencing system lets you configure it to display two live-streams of HD video simultaneously on multiple monitors. This makes the Group 700 incredibly flexible. The Polycom Group 700 codec has three HDMI video inputs and three HDMI video outputs, as well as a host of other interfaces: HDCI, YPbPr, RCA, VGA. You can easily connect up to three cameras to up to three displays, getting multiple streams of HD video up to 1080p resolution. Why would you even want multiple streams of live video playing at once? Read on! Businesses use multiple video live-streams to solve a number of common problems. We’re frequently contacted by organizations looking for answers to these problems. Let us know if this helps your business solve your problems! Polycom Group 700 solves the problem of spaces that are both wide and constrained. 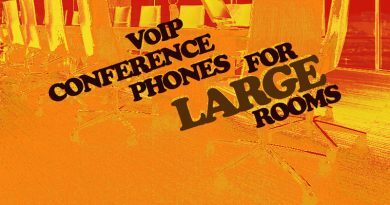 Video conferencing systems in general still have a hard time dealing with wide spaces. Even the best wide angle lens on the market will distort people on the edge somewhat. But when space is constrained, you need to position the camera close to the people being recorded. This means that you’re inevitably going to have people cut off on the edges. That’s why Polycom RealPresence Group 700 supports live video-streams from multiple cameras, including the class-leading Polycom EagleEye IV 12x camera. You can position multiple cameras facing the same way, yet far enough apart to capture the views in front of them in a natural way. You can then connect them to the codec, which will send the composited video stream to connected displays, including on multiple displays simultaneously. 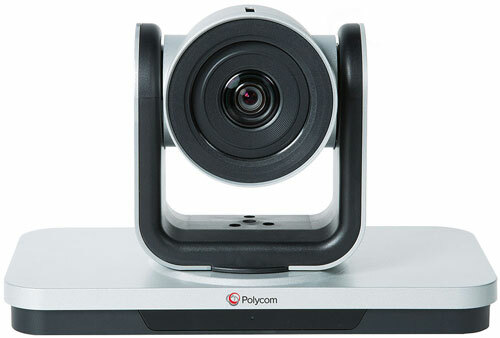 Polycom Group 700 even lets you connect multiple PTZ cameras, for an even more convenient experience. 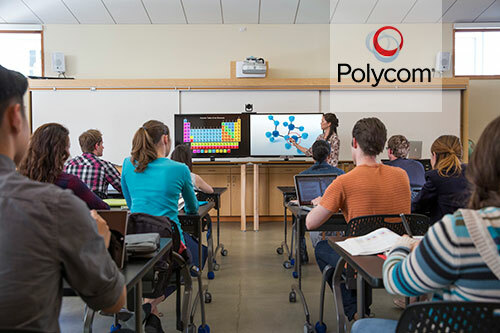 Polycom Group 700 solves the problem of how to simultaneously display a presenter and an audience. For the first situation, you wanted multiple cameras to face forward, covering different parts of the same scene. For this situation, however, you want one camera facing one way and the other facing the other way. Let’s say you wanted to stream a college class. The first camera could be tightly focused on the professor at the lectern. The second camera could be a wide-angle camera that captures the whole classroom. You could then stream both camera feeds at once to see the teaching and the reactions to it. 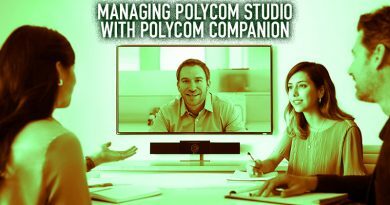 When you use the Group 700 system with the Polycom Media Suite, you can not only stream the two feeds at once, but you can record them, too. And with solutions like Polycom SoundStructure, a room-based installed audio system, you can capture HD audio from both streams using multiple microphones. Polycom Group 700 solves the problem of product presentations. You can have one camera focused on the presenter, while the other camera shows a live-feed of the product. Instead of showing a static image of the product or showing a recorded video (both of which the Group 700 also supports), you can show the actual product in real time. 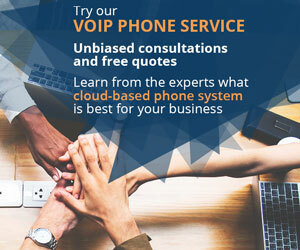 This can be to your advantage, letting you to build trust with your client by responding to the client’s questions by showing them the actual product. You can show the different sides, show it in action, and more. 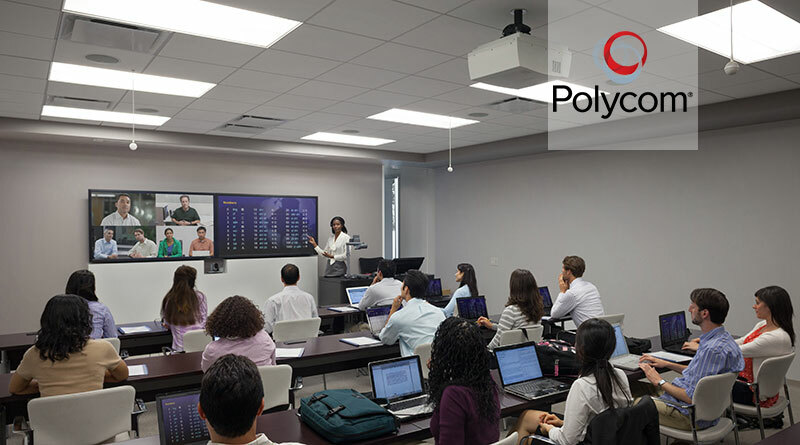 The Polycom RealPresence Group 700 video conferencing system shows you the incredible potential that the technology holds for businesses. These three examples are not the typical video conferencing set-ups, but they are useful and even extend what you, as a business, can achieve.